Is F.ounders Still the Rolls Royce of Technology Events? Last year, our CEO, Zee attended the F.ounders conference in Dublin, Ireland and described it as “The Rolls Royce of technology events,” and with good reason too. This sister event to the Dublin Web Summit sees just 150 people – mainly successful tech startup founders, plus a handful of VCs, press and friends – invited to a gathering that combines conference sessions with an intensive but high-class diary of networking and social events. 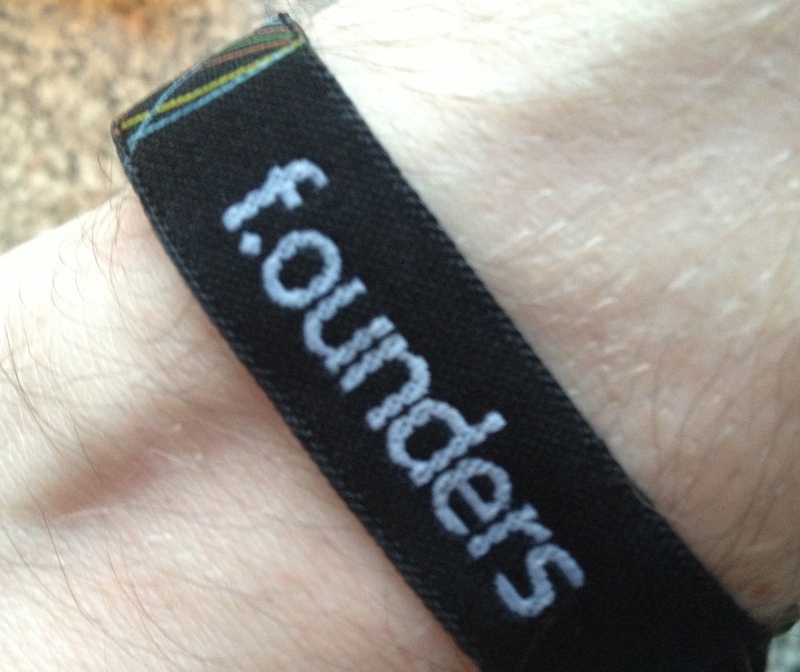 This year, The Next Web was represented at F.ounders by me and our European Editor, Robin Wauters. So, is it still a Rolls Royce? Now in its third year, F.ounders has a solid reputation as an event you simply must attend (if you can get invited). Panel debates and fireside discussions take up much of the daytime strands. This year they featured everyone from U2’s Bono and film director Barry Sonnenfeld to Egyptian revolutionary Wael Ghonim and former NATO Supreme Commander, Wesley Clarke. Talks here aren’t necessarily full of newsworthy quotes (for the tech press, at least) but the speakers are undoubtedly inspiring and engaging. The rest of the schedule is more social, but no less impressive. 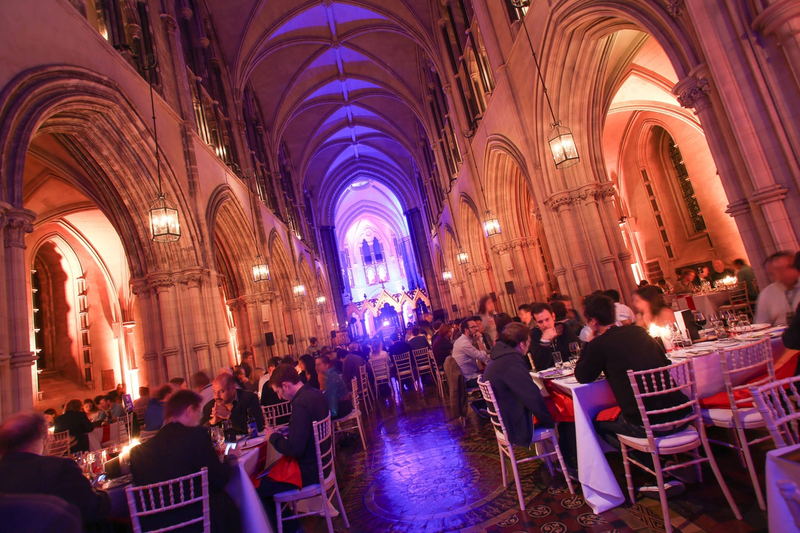 To give you an idea of the kind of dining on offer, on the opening night alone we were treated to the first ever banquet in the almost 1,000-year history of Dublin’s Christchurch Cathedral, complete with an after-dinner choir performance. On night two we had some fun in the form of an irreverent chat between Wired UK Editor, David Rowan and U2’s The Edge. 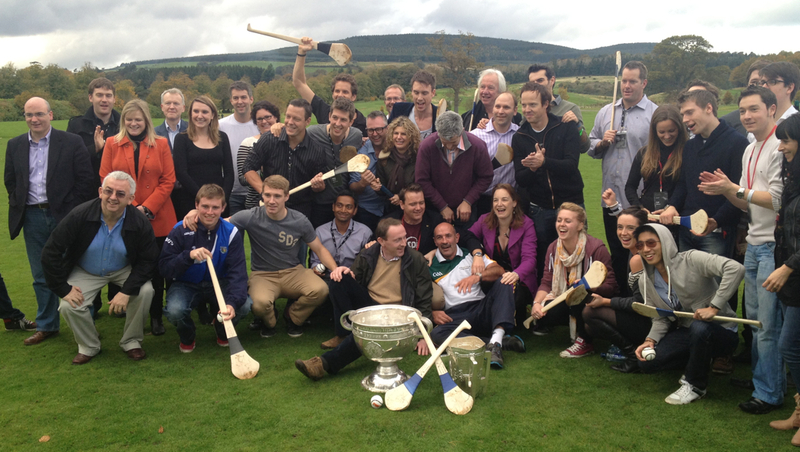 It was essentially a two-and-a-half-day non-stop carnival of fascinating conversations (chatting to the co-founder of Pinterest on a coach trip through the Irish countryside isn’t something you do every day), new experiences (watching a bunch of Internet entrepreneurs try the Irish sport of hurling for the first time was a fun experience), oh, and lots of alcohol (well, it is Ireland). Founders were there from established names such as Flipboard, Yandex, Zendesk, Eventbrite and the aforementioned Pinterest, through to some of the hottest earlier-stage companies like 6Wunderkinder and Circa as well as the likes of Bebo co-founder Michael Birch and Israeli tech icon Yossi Vardi. Refreshingly, there seemed to be no hierarchy in who talked to whom, and everyone was happy to chat openly to those of us bearing a distinctive white ‘press’ badge. Of course, most of what is discussed is off-the-record but it was good to see journalists free (and trusted) to mingle with the people they cover for a living without the usual shield of PR representatives ready to jump in when a difficult question was posed. It was good to see that the Web Summit team, led by Paddy Cosgrave, had tweaked the formula to learn from problems last year. In 2011, F.ounders ran in parallel to the Dublin Web Summit, meaning that big name guests were chauffeured between the two events and didn’t get a chance to mingle with the Web Summit attendees who had paid good money to be at the event but didn’t get to meet many speakers. This year, F.ounders began straight after the Web Summit, meaning that, for the most part, the two events were separate and the ‘them and us’ problem was successfully countered. That said, it did mean that those people attending both events were the probably the most exhausted by the end of it all. “Pace yourself,” would be my advice to anyone attending next year. Other challenges lie ahead for the organizers though. The temptation for every successful event organizer is to make the next one bigger and better than before. While most conferences can handle both of these to a degree (although some, such as SXSW, have grown too big for some people’s tastes), F.ounders would lose its special formula if too many people were invited – the intimate, high-class venues would be replaced by enormous dining halls and you’d lose the magic of being able to walk up to anyone – from a notable founder to a celebrity – and just say hello. Eyeing the money side of the equation, professional services companies like lawyers would pay a handsome sum to attend an event like this, with so many high net worth potential clients in one place. Letting just a few in could bolster the Web Summit team’s coffers significantly. The thing is, I think Cosgrave and his team are too smart to let F.ounders spiral out of control. It’s the perfect accompaniment to the larger, more open Web Summit – a brand that they’re starting to expand to other locations like London and Berlin. 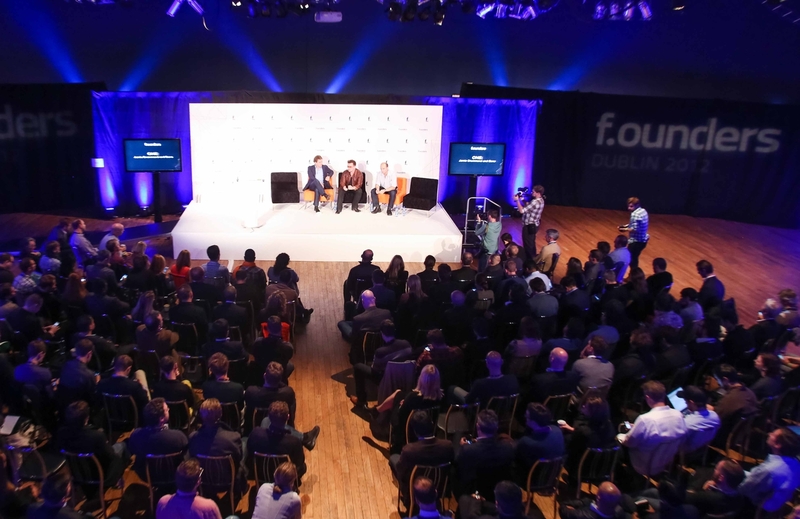 While F.ounders may also take place elsewhere (a version was held in New York City this year), the Dublin version works best as a small – and very Irish – event. Ireland is key to F.ounders, in fact. Sponsors like the Dublin office of KPMG spotted the potential for the event from its earliest days, and it enjoys the support of the Irish government for the simple reason that showing the technology industry a good time can work wonders for the country’s economy. Two companies in attendance, Hubspot and Zendesk, had announced Dublin offices during the Web Summit, and F.ounders is the best advertisement for Ireland that a CEO or VC with a pocket full of cash spend could have. It shows them that the city has more than just favorable taxation conditions to offer fast-growing foreign businesses. So perhaps the biggest threat to F.ounders is that its own magic formula could be diluted by copycat events around Europe and the world. Imagine if every big tech conference had a partner event aimed at wining and dining rich and influential people to promote inward investment. Suddenly, an invitation to F.ounders would lose a little of its caché. For now though, the Web Summit team can be commended for building a unique event and brand with a word-famous reputation out of nothing in just three years. An expertly polished Rolls Royce. Image credits: Header image: Peter Parks / Getty Images. 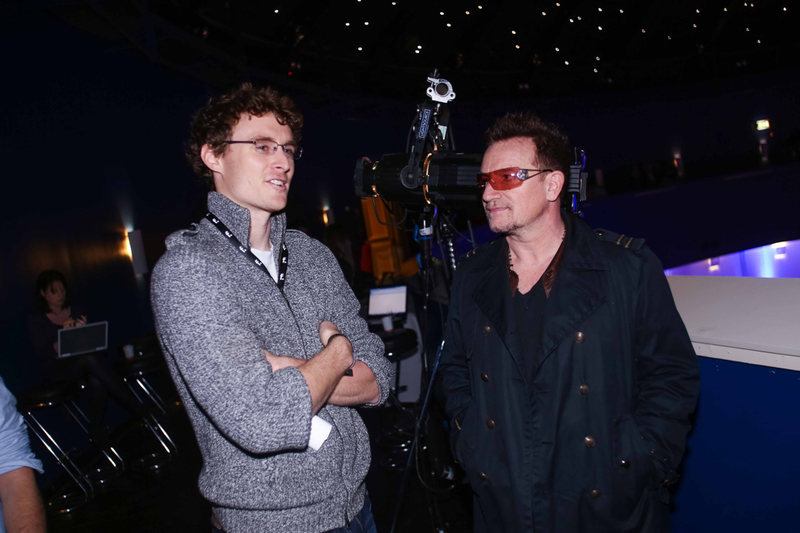 Conference, Christchurch Cathedral and Paddy Cosgrave: Conor McCabe Photography, courtesy of F.ounders.